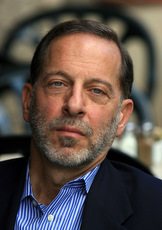 Last month former PLO spokesman Rashid Khalidi, now Columbia University's Edward Said Professor of Modern Arab Studies, renewed his PLO bona fides by marking the centennial of the Balfour Declaration with the lecture "The Balfour Declaration from the Perspective of its Victims." It was the first in the series "Palestine/Israel: 100, 70, 50" at New York University's Hagop Kevorkian Center for Near Eastern Studies, marking three anniversaries Palestinians abhor and Israelis celebrate. The lecture was held in the magnificent Richard Ettinghausen Library, which showcases a wall of Islamic mosaics. The room was packed to capacity with about eighty-five people, including faculty and graduate students, some lining the circular staircase and filling every inch of standing room. Helga Tawil-Souri, director of the Hagop Kevorkian Center, introduced Khalidi in glowing terms as "the premier Palestinian public intellectual," noting that as an op-ed contributor he is "the only Palestinian with a direct line to the New York Times (NYT)." Upon taking the podium, Khalidi qualified her statement, adding, to raucous laughter, that he wished he did have a direct pipeline to the NYT, because "they wouldn't have Bret Stephens and Bari Weiss writing for them regularly if I did." It just so happens that Stephens and Weiss, recent NYT hires, are both strongly pro-Israel. Khalidi argued that the Balfour Declaration "amounted to a declaration of war by the British Empire on the indigenous population of the land it was promising to the Jewish people as a national homeland." It "launched a century-long assault on the Palestinians aimed at implanting and fostering this national homeland, later the state of Israel, at their expense," he asserted. Predictably, Khalidi limited the "indigenous population" to Arabs and ignored the Jewish people's historical claim to the land as recognized in the Balfour Declaration. Instead, he maintained "the Zionist Movement was a colonialist enterprise in search of a metropolitan sponsor" that was "implanting" and "fostering" the Jewish people "at the expense of the Palestinians." The lecture epitomized the politicization of contemporary Middle East studies: by twisting a legitimate topic—the Balfour Declaration—into anti-Zionist, anti-Israel propaganda, Khalidi distorted the past in order to influence the present. His ahistorical claim that the Jewish people are not the indigenous population of Israel is a transparent effort to delegitimize Israel as a Jewish state. There should be no room in academe for such hucksterism masquerading as scholarship. Mara Schiffren, a Campus Watch Fellow, has a Ph.D. from Harvard University in the Study of Religion.